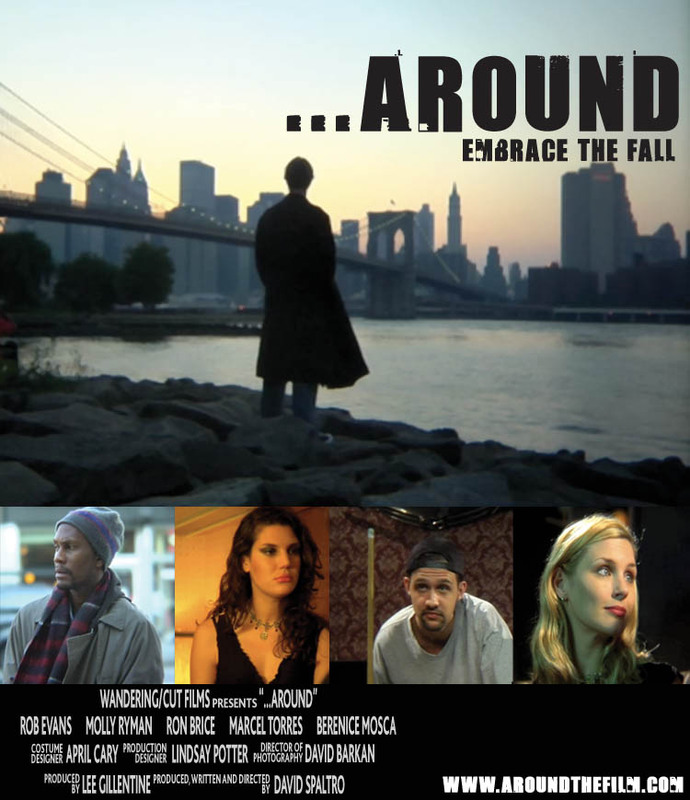 “…Around” is writer/director David Spaltro’s first feature film and embodies all the attributes of a true independent film, minus the pretentious art house clichés. At 104 minutes long, it was shot in just 21-days with a production budget of $175,000, which was entirely self-finance with 40 different credit cards to offset the costs. Autobiographical in nature and inspired by Spaltro’s real life struggles as an aspiring filmmaker, “…Around” is not just a good coming of age story but it is also a great film. 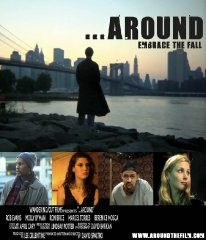 Amidst a New York backdrop, “…Around” follows Doyle Sims (Robert Evans), a young and idealistic man from a poor and troubled New Jersey home who seeks escapism and a new life. 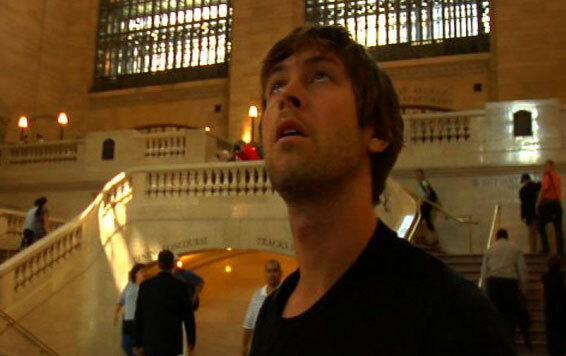 Drawn to the artificial prestige of film school like so many ambitious yet delusional youths, he attempts to succeed as a filmmaker by sacrificing his comforts, familiarity and essentially all he’s known in order to chase a dream. Once on his own, however, Doyle realizes that the real world is much crueler, his dreams insignificant, and that sometimes even sacrifices alone are not enough. Overwhelmed by financial inadequacies (much in part due to his own failures), he is forced to spend nights outside of school and work living out on the streets, drifting from one desolated place to the next. While residing in Grand Central, Doyle befriends Saul (Ron Brice), a homeless man who peddles used books and the occasional wisdom. He inducts Doyle into the subculture of the marginalized and forgotten, and over pancakes in a small cafe, offers him a realistic glimpse into his not to distant future. At work, he falls for Allyson (Molly Ryman) a hostess at the restaurant and a student at his college whom he had met prior in an elevator on campus. A tentative friendship blossoms between Doyle and Allyson, and although Doyle peruses her relentlessly, his love for her is and will ultimately be unrequited. This is not because Doyle is a jerk or even a bad looking guy, but because she is out of his league and represents just one of life’s many disappointments. But “…Around” is not necessarily a depressing film, it actually has many witty and humorous scenes which at times can feel a bit forced. No, “…Around” is a film about perseverance and human determination. It’s a neorealistic portrayal of a survival story fueled by the belief that one can improve ones situation despite everyone (include yourself) trying to bring you down. As a result, many of the situations are relatable and Doyle, while not a saint by any means, is likeable and his story is both poignant and compelling. Evan as Doyle is charismatic and commanding, likewise with Brice as the supporting role of Saul. Both actors are relatively unknowns, but are excellent and do an outstanding job bringing life to Spaltro’s narratives. So much can be said about Evan and his strong performance that I wouldn’t be surprised if we see more of him in future projects. He has all the qualities one would look for as a leading man and reminds me a little of Alan Ruck, both in appearance and potential. Ryman is not as seasoned as Even or Brice, but has natural exquisite beauty and made Allyson believable as a girl-next-door type, trying to find her place in life and having to struggle like Doyle just the same. Ryman reminds me a lot of Kristin Dunst, and plays a better wannabe/struggling actress than Dunst as Mary Jane in “Spider-Man.” Although more of this is probably attributed to Spaltro’s strength as a writer than Ryman’s acting abilities — not that I am really criticizing her abilities. Speaking of acting abilities, some of the supporting casts were not as strong as the leads. While it was tolerable, it may be off putting to some and will definitely remind you that you are watching an independent film. There are many things about ‘…Around” that I like, and one thing especially is the diverse cast which contributes significantly to the realism of the film. Acknowledgement must be given to Spaltro or whoever the casting director was for the vibrant ensemble that not only represented, but captured the multi-ethnic makeup of a large city such as New York. Too often in films, both Hollywood and Independent, has this been an inconceivable oversight and it speaks volumes about not only Spaltro’s attention to detail, but also his awareness to different cultures, whether consciously or not. Like casting, the soundtrack is just as diverse and comprised of several local NYC buzz bands such as My Teenage Stride, Takka Takka, Diggs, as well as an assortment of scores by Vita Tanga and Grammy winning producer Carlos “Strom” Martinez. It was a great selection that for the most part accompanied the film well and added an extra level of depth to key moments. At times, particularly in the fist half, the soundtrack may have been over mixed, but it is only a minor nuisance and forgivable. Overall Spaltro’s debut shows promise and “…Around” is an engaging story about overcoming personal struggles and inner demons, in order to find direction that can lead to salvation. Doyle eventually reaches this conclusion and realizes that running away to NYC was never the answer. So while Doyle/Spaltro may criticize his own ending via voice over near the end, I feel as if it couldn’t have concluded any better. What more is necessary other than an open ended closure? And if you think I’ve just spoiled the ending, I haven’t, because the conclusion is not nearly as important as the journey itself. Of course, “…Around” is not perfect by any means, but it is intelligent, gutsy and genuine; a film that anyone can appreciate and take something away from. Spaltro has made an incredible debut, and I look forward to seeing what else he is capable of next. Make sure to check out the official site for more information, screenings and to watch the trailer.